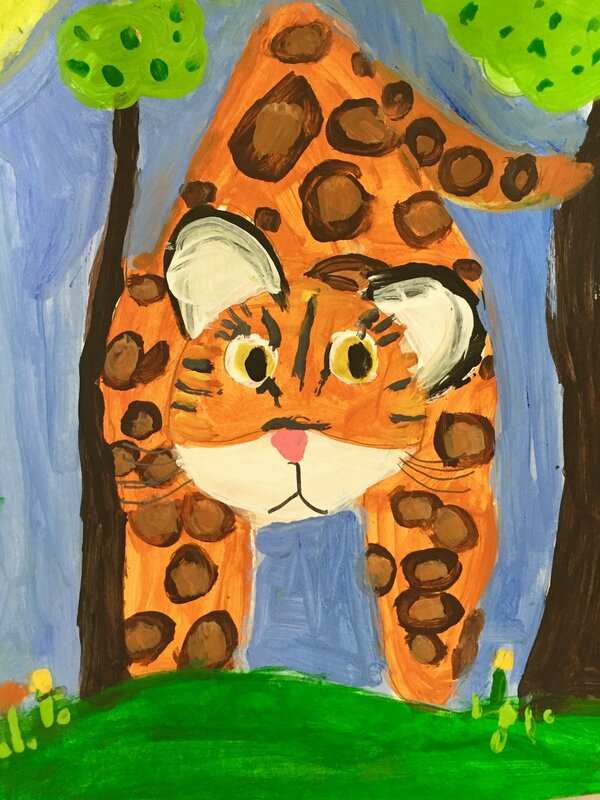 Fahimeh's Children's Art Classes are a place where young artists, ages 6 through 14, learn to illustrate stories or create individual paintings. Every piece is designed to capture the very character of its subject. Through the process of creating a harmonious image, Fahimeh's students learn the principles of rhythm, balance, variety and motion. The realistic approach of this work requires the students to pay attention to light and shadow, color and value, texture and proportion, as well as develop a strong aesthetic sense for composition. The children's artwork is shown at the Salt Lake City Library in their yearly exhibition. This exhibition has gained popularity due to the quality of work displayed by the participating children's artwork. Their exciting work has captivated viewers all around the valley. Not only is the exhibition itself visually enchanting for viewers, it's exciting for the children as well; they gain a sense of accomplishment – these children's art classes are a great way to enhance their creative ability and self-confidence. Introduce yourself, your children, and please include their ages. Thanks for your interest. I'll get back to you as soon as I can.